Many proponents of herbal medicine suggest using herbs to enhance the health of your liver, an organ responsible for clearing toxins from your body. Indeed, some research shows that certain herbs may help fight liver disorders like cirrhosis (scarring of the liver) or infections like hepatitis B and hepatitis C (viruses known to cause inflammation in the liver). Here's a look at several herbs that show promise as a natural means of boosting liver health. Milk thistle may benefit people with cirrhosis of the liver, according to a report published in 2001. Analyzing five clinical trials (with a total of 602 cirrhosis patients), researchers determined that treatment with milk thistle could lead to a significant reduction in liver-related mortality. In a more recent research review (published in 2005), scientists looked at several clinical trials testing the use of milk thistle in the treatment of hepatitis C and hepatitis B. Although the review's authors found no evidence that milk thistle can help clear any type of hepatitis virus from the body, some research suggests that milk thistle may help curb inflammation associated with hepatitis C and protect against damage to liver cells. Preliminary research indicates that turmeric may be useful in the treatment of hepatitis B and hepatitis C. In a 2009 study on liver cells, for instance, scientists discovered that turmeric extract helped stop the hepatitis B virus from replicating. A test-tube study published in 2010, meanwhile, demonstrated that turmeric extract might help suppress the replication of the hepatitis C virus. Burdock (an herb often used as a natural detox remedy) may help shield liver cells from acetaminophen-induced damage, according to an animal study published in 2000. In tests on mice, scientists found that antioxidants in burdock may lessen the harmful effects of toxic substances formed from the metabolism of acetaminophen, a medication widely used to relieve pain. Other animal-based research suggests that burdock may also help protect the liver from damage caused by alcohol consumption. 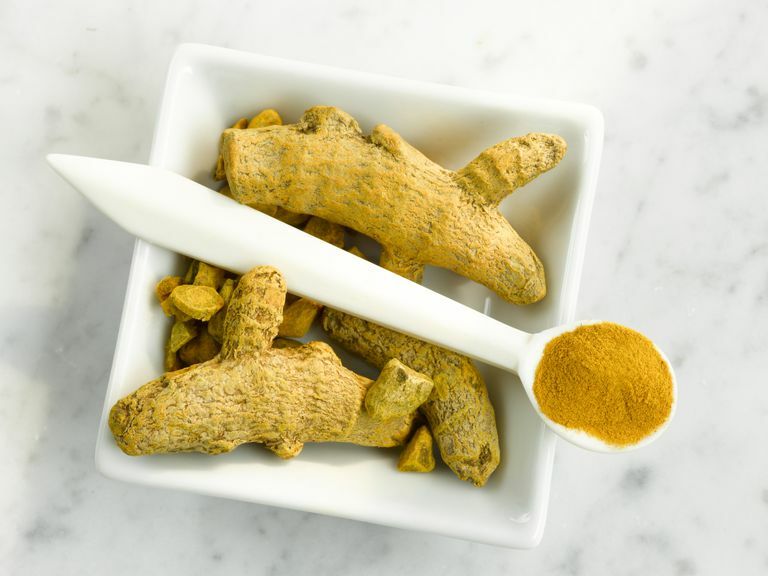 Given the lack of clinical trials to support their use, neither turmeric nor burdock can currently be recommended for treatment of any type of liver disease. Since the scientific support for milk thistle's liver-protecting effects is also limited, it's also too soon to recommend this herb as a principal treatment for liver problems. Always remember that animal research results cannot automatically be applied to humans. If you're considering the use of herbs for liver health, make sure to consult your physician before beginning treatment. American Liver Foundation. "Liver Wellness." Gordon A, Hobbs DA, Bowden DS, Bailey MJ, Mitchell J, Francis AJ, Roberts SK. "Effects of Silybum marianum on serum hepatitis C virus RNA, alanine aminotransferase levels and well-being in patients with chronic hepatitis C." J Gastroenterol Hepatol. 2006 21(1 Pt 2):275-80. Kim HJ, Yoo HS, Kim JC, Park CS, Choi MS, Kim M, Choi H, Min JS, Kim YS, Yoon SW, Ahn JK. "Antiviral effect of Curcuma longa Linn extract against hepatitis B virus replication." J Ethnopharmacol. 2009 15;124(2):189-96. Kim K, Kim KH, Kim HY, Cho HK, Sakamoto N, Cheong J. "Curcumin inhibits hepatitis C virus replication via suppressing the Akt-SREBP-1 pathway." FEBS Lett. 2010 19;584(4):707-12. Lin SC, Chung TC, Lin CC, Ueng TH, Lin YH, Lin SY, Wang LY. "Hepatoprotective effects of Arctium lappa on carbon tetrachloride- and acetaminophen-induced liver damage." Am J Chin Med. 2000;28(2):163-73. Lin SC, Lin CH, Lin CC, Lin YH, Chen CF, Chen IC, Wang LY. "Hepatoprotective effects of Arctium lappa Linne on liver injuries induced by chronic ethanol consumption and potentiated by carbon tetrachloride." J Biomed Sci. 2002 9(5):401-9. Mayer KE, Myers RP, Lee SS. "Silymarin treatment of viral hepatitis: a systematic review." J Viral Hepat. 2005 12(6):559-67. Saller R, Meier R, Brignoli R. "The use of silymarin in the treatment of liver diseases." Drugs. 2001;61(14):2035-63.